The Borrego Art Institute (BAI) is a non-profit 501(c)3 organization with the goal to inspire and enrich the community of Borrego Springs by offering a venue for the public to experience, create, and enjoy all forms of art. Our distinctive campus features the Gallery, the Pottery studio and workshop, the ArtFarm gardens, the KidsArt programs and our on-site Restaurant, Kesling's Kitchen all in the heart of Borrego Springs’ core business district at Christmas Circle and Palm Canyon Drive. A community resource and gathering place, The BAI is an important catalyst for adult and children's education, participation, art appreciation, and a great meal. Please join us for classes, shows and other events, and as a member. If you are an artist, a resident, a visitor, a family, an art lover, or simply a curious explorer, we look forward to welcoming you! April Shows: We have two shows on display for the month of April, The Art of Flora and Fauna and 3-D Escapes, a new show to the gallery. The highly popular flora and fauna show showcases art depicting plants or animals in a variety of mediums by artists from throughout Southern California. New to us this year is 3-D Escapes, fiber art/art quilts by a group out of Banning, California called 3-D Desert Designing Divas. They are showing in our north gallery section and display a large selection of beautifully designed art quilts. Celebrating the Summer Show: Our summer long show of art in many different mediums begins May 3 and will hang until October 6. All work is original and, for the most part, has not been shown in the gallery before. We will be accepting art all summer long from artists and consignors in order to keep the show fresh. Congratulations to Linda Durant of Merritt Island, FL, our Customer Appreciation winner for March! Each month we will hold a customer appreciation drawing from entries submitted by gallery customers. Our Gift Shop has new work arriving daily and sales have been brisk. It's a good place to pick up those unique one-of-a-kind art pieces for which we have become known. We are accepting memberships. For Members, artist's entry fees for entering shows are waived except for the Plein Air Invitational. Members also receive discounts on gallery workshops, and free admission to seminars and demonstrations. To become a member, go to Join Us in the menu at the top, click on Become a Member. 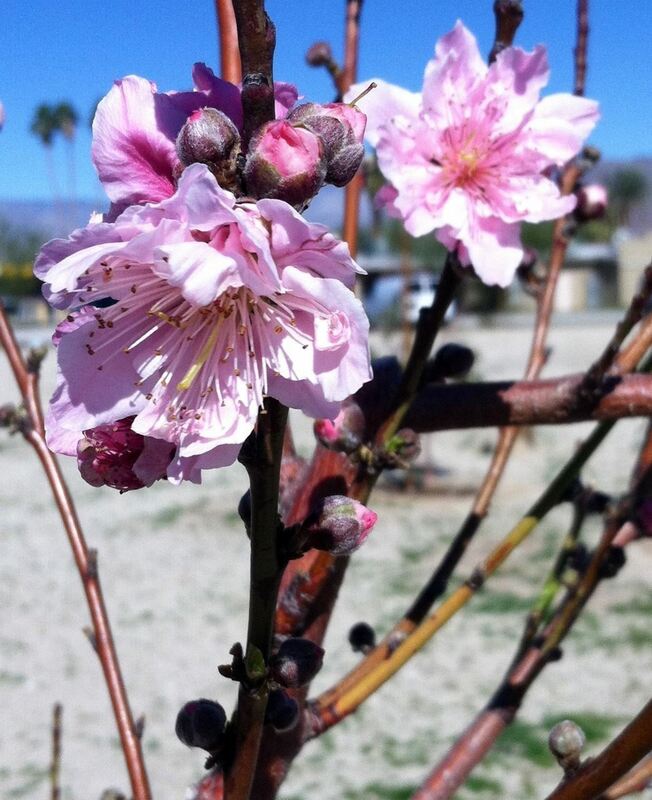 Nectarine trees are in bloom and Apple, Peach, Apricot, Fig, and Pomegranate are all starting to bud! Please stop by the garden, find beauty in the vegetables, photograph the orchard blossoms, and lend a hand. There are plenty of opportunities for watering, weeding, general upkeep, and very soon - harvesting the spring vegetables. Starting the week of February 11th we will be rebuilding the water basins for each of the trees and improving the soil. It's an exciting time to become involved in the development of the art farm - if you are able to volunteer, please send an email or stop by and say hello! Calling all Tractor Owners! ArtFarm needs the ground tilled for row crops between the orchard trees. Do you or a neighbor have a small tractor or tiller to lend? The area is prepped and it will take less than one hour with a small tractor. 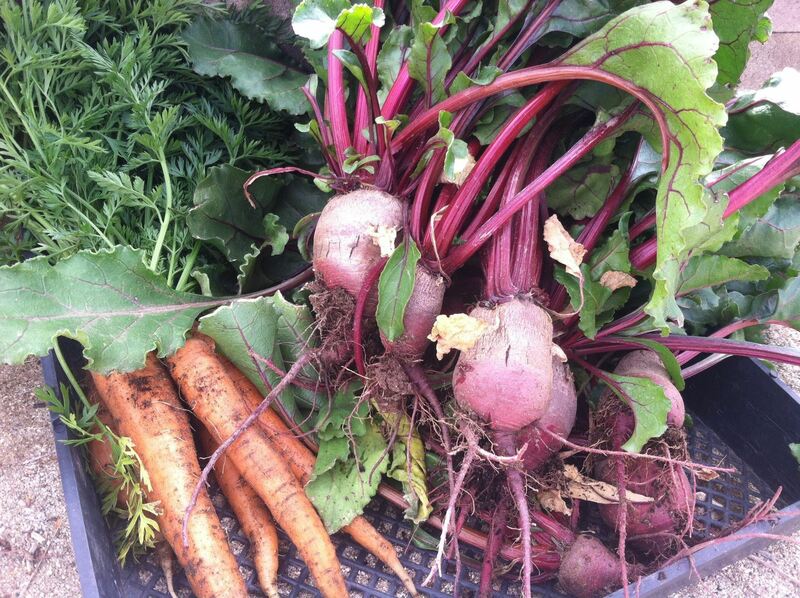 The ArtFarm vegetables will be forever grateful - Please email or stop by to find out more. On a smaller scale, the ArtFarm continues to rely on your generosity for its success. Please take a look at our current donation list and if you have some extra supplies at your home and no way to get them to the garden, we are happy to pick up. Thank you for your support! Kesling's Kitchen is OPEN EVERY DAY. To see the current menu, go to the restaurant tab and click on current menu in the drop down menu. The restaurant is open every day, 11:00 am to 9:00 pm. 760-767-7600. Kesling's Kitchen Catering: Book your party trays from our great catering menu. Go to the Restaurant tab and click on Kesling's Catering in the drop down menu. Be sure to check out Kesling's Art Wall. Each month a new artist will be featured in the restaurant on the wall between the gallery and the restaurant. Our Featured Artist for the month of April is photographer Doug Dolde of Joshua Tree, CA. Funded by a matching $10,000 grant, the Pottery has enlisted community involvement in creating a mural on the outside South wall of the Borrego Art Institute building. The mural celebrates the arts in Borrego Springs. To follow along with the story of the mural, click on The Pottery. The Pottery Studio is located adjacent to the High School swimming pool on Cahuilla Road off of Borrego Springs Road. During school hours, anyone new to the pottery much check in at the school office. Find us under the big blue canopy. Ron Wheatly: Photographic Supplies for the Kids Photography Program. Vanessa and Richard Rusczyk: $500 towards the Gallery. Borrego Springs Art Guild: $150 towards Kids Art Program. Dennis and Sharon Nourse: $5,000 for additional gallery movable walls and lighting. Dr. Michael & Marilyn Kelley: $1000 which will be used for gallery improvements and for KidsArt. Borrego Springs Rotary: $2,000 towards Kids Art Program. L. Chan - Veronese Studio: $625 (from sale of donated art) towards the ArtFarm. Borrego Springs Rotary: $1,000 towards Middle School Photography Program. Borrego Springs Art Guild: $150 toward Kids Art Program. Vanessa Rusczyk: $500 towards BAI improvements. Dennis and Sharon Nourse: $1450 for Plein Air awards. Mary Kaplan: $100 towards BAI operations. The Borrego Art Institute thanks all of our donors for their support of our organization. Donors are an important and vital part of our ability to sustain and grow such a wonderful asset to our community. We invite you to join us to participate in the excitement at the BAI. If you would like to receive announcements and info about our activities, please Register with us. If you would like to contribute your time and talents to BAI, you can become a Volunteer. As a donor-supported organization, your financial support is appreciated and needed. We welcome your tax deductible donations, and we now accept memberships. Click on the Join Us tab below and then click on Become a Member. Borrego Art Institute is a 501(c)3 not-for-profit corporation.